The Casino is open all year round. Entry is free every day of the week, including holidays. Must be a minimum of 18 years old to enter. Casino services include the bar, Biribissi ristorante (available for private dinners and theme events), the Roof Garden (available year-round, with covering during winter), the theater, and a free parking reserved for clients. A coat and tie are required in the Private Room, the Roof Garden, and the Liberty Room. 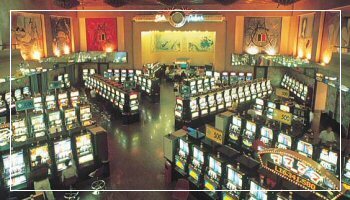 In all the other rooms, and especially in the slot machines room, proper clothes are required as well.